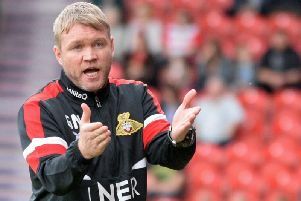 IT MAY be something to do with his Belfast upbringing, but new Doncaster Rovers manager Grant McCann is plainly a manager who it would be foolish to cross. The quietly-spoken Northern Irishman may have displayed a calm veneer in his considered utterances at his introductory press conference yesterday afternoon, but there is clearly fire to complement the ice. Not unlike his two predecessors in Darren Ferguson and Paul Dickov, in fact. Individuals draw inspiration from all manner of sources and for McCann, after successfully proving himself throughout a career that saw him successfully pick up the pieces after being jettisoned by West Ham as a player, there are some relatively recent events upon which to draw. The 38-year-old admitted to feeling wounded after being sacked by Peterborough in February, with Posh positioned in tenth place in League One and just six points outside of the play-offs. To many football observers it appeared a harsh axeing. After initially feeling “a little bit bitter”s, McCann dusted himself down and got himself ready to go again on the managerial circuit – which has now seen him arrive up the A1 at Doncaster. After failing to achieve his mission statement at Posh by way of play-off participation, McCann has an extra motivational tool in his bid to achieve that at Rovers. It is clear that his resolve in his new project radiated through in his interviews for his new position with the Rovers’ board, who stipulated that the successful candidate should provide a concise plan of how he would propel the club into the top-six picture. McCann, who has signed a rolling contract, said: “That is why I am here. I am a really hard, driven person who wants to be successful. “I am calm and do not get too high if we win or too low if we lose. But I have also got that Belfast aggressive side that you probably do not want to see. “The players will know I am approachable and if I can help, I will. “But my only focus is to win and make us successful. I will do all I can to make us successful and all through my career I have proved people wrong. People telling me that I am not good enough to be a football player or do this and that. That drives me further. “I do not like to be comfortable, I like to be challenged. I will make sure the players are like this. After coming to terms with his departure from Posh McCann travelled around the country to broaden his coaching education and, fortified with further knowledge and refreshed for his new challenge, Rovers are getting a young, ambitious and driven manager who has taken plenty from various managerial figures during his career so far. Those include his predecessor Ferguson, who gave him his first coaching break at Peterborough. “The first couple of weeks were difficult (after leaving Peterborough in February). As any manager will tell you when you leave your job, you are going to feel a little bit bitter,” McCann added. On the influence of Ferguson, he added: “Darren gave me a chance coaching the Under-15s. I have got a lot of time for Darren in terms of what he did for me as a player and into coaching. I have nothing but good words to say about him. I know I am coming to a club with firm foundations. 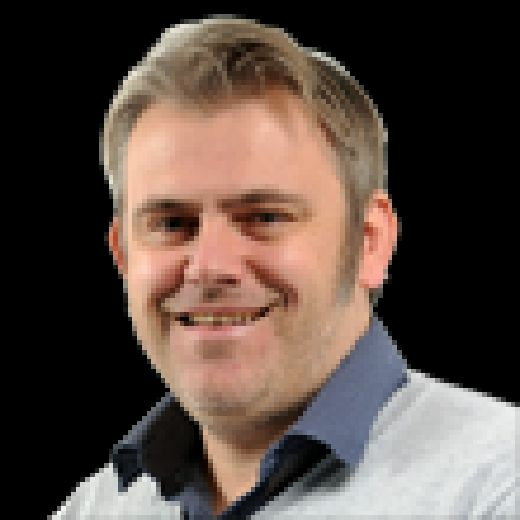 McCann will scrutinise the squad he has inherited over the coming weeks and plans to get to know his charges fully during a training camp in La Manga next week when the players will undertake three sessions a day. He plans to make calls on the transfer-listed trio of Liam Mandeville, Tyler Garrett and Mitchell Lund as to whether they could be handed a reprieve or not. One thing he is already equivocal about is that the playing budget he is inheriting is a “competitive one”. Tensions existed on that issue between his predecessor and the club’s board, but he remains reassured on that front. McCann, whose assistant is set to be announced today, added: “The budget is very competitive. I have seen budgets in this league and this is very competitive.